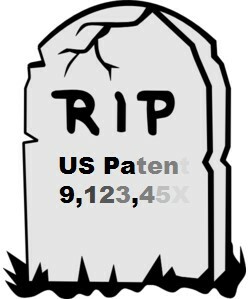 Patent Term: When will a patent die? Patent owners, licensees, and applicants alike may wonder: How long is a U.S. patent enforceable? Business owners mindful of patents granted to their competitors may ask the same question. Patent term is the maximum period of time a granted patent may be enforced. Historically (since the 1860s), U.S. utility patents had a term of 17 years from the date the patent granted. Like life itself, calculating patent term then was much simpler than it is today – you simply added 17 years from the date the patent granted. But this all changed on June 8, 1995, when the U.S. patent laws revised the patent term from 17 years from the date the patent granted to 20 years from the date the patent application was filed or the earliest date the patent application makes a specific reference to (such as a parent of a continuation application). This change was made in an effort to harmonize with other countries. It was also made to prevent what had been called “submarine” patents, where an applicant intentionally extended the examination period to gain a greater advantage due to patent applications not being publically available until after granting of the patent. The 1995 change in patent term—from 17 years from the grant date to 20 years from the application filing date—was based on the average patent examination period being about three years. 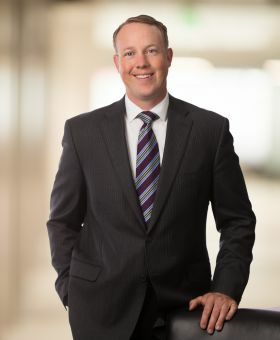 But as experienced patent applicants know, some applications breeze through the U.S. Patent and Trademark Office (USPTO) in a matter of months, while other patent applications can be hung up for years, sometime decades. Due to the variance of patent examination periods, the U.S. patent laws were again revised on May 29, 2000 to provide “Patent Term Guarantees.” These guarantees include (A) a guarantee of prompt response from the USPTO, (B) a guarantee of no more than three years application pendency, and (C) a guarantee for successful appeals or other proceedings. The “Patent Term Guarantees” introduced what is called a “Patent Term Adjustment” (PTA), which is an addition of time (counted in days) to the 20-year term to account for examination delays on the part of the USPTO and the applicant. On its front page, a U.S. patent will usually list a “Notice” on patent term. This notice states in part: “the term of this patent is extended or adjusted … by ‘X’ days,” with ‘X’ varying anywhere from 0 to thousands of days. The Patent Term Adjustment (PTA) is determined by an algorithm based on the U.S. patent laws, rules established by the USPTO, and the interpretation and application of these laws and rules by U.S. Federal Courts. The Patent Term Adjustment algorithm can be tedious and nuanced—it is not uncommon for the USPTO itself to incorrectly calculate a Patent Term Adjustment. To determine a Patent Term Adjustment, first, one day is given for every day of delay by the USPTO after 14 months from the filing date of the application. And one day is given for every day of delay by the USPTO beyond four months in response to an applicant’s actions (such as a reply to an Office action, appeal brief, or issue fee payment). This delay has been called “A-delay” by the USPTO and Federal Courts. The number of days of “A-delay,” “B-delay,” and “C-delay” are summed. Importantly, when summing the delays, it is determined whether there is any calendar “overlap” in delay, and the number of days of overlapping delay are deducted from the sum of A-, B-, and C-delays. Lastly, the sum of “A-delay,” “B-delay,” and “C-delay” is reduced for every day of applicant delay. Applicant delay may include the number of days in excess of three months to respond to an Office action. Applicant delay also includes any days after three months from the filing of notice of appeal and the filing of appeal brief, a request for delay by an applicant, abandonment of an application, the filing of a supplemental reply (unless expressly required by an examiner), an untimely preliminary amendment or information disclosure statement, and the filing of a paper after receiving a notice of allowance (for example, an after-allowance amendment or interview summary). Thus, a patent applicant can take proactive steps to maximize the term of a granted patent. These steps may include: (1) ensuring that an application is complete upon the original filing of the application, (2) filing complete and timely responses to Office actions and communications without extensions, (3) coming to an understanding with an examiner soon—most often by an examiner interview—to avoid a Request for Continued Examination (RCE), (4) maximizing the chances of success on an appeal of an examiner’s rejection, and (5) avoiding filings after receiving a notice of allowance.